If you haven’t checked it out yet, visit our github repo and look at the source code. You can also stop by the discord chat and talk with the devs directly. Topic: Follow us on Twitter! Yep, we've gone social media! Currently we're posting status updates on the coding work being done, as well as interacting with you, our supporters and other City of Heroes fans. Make sure you follow us! 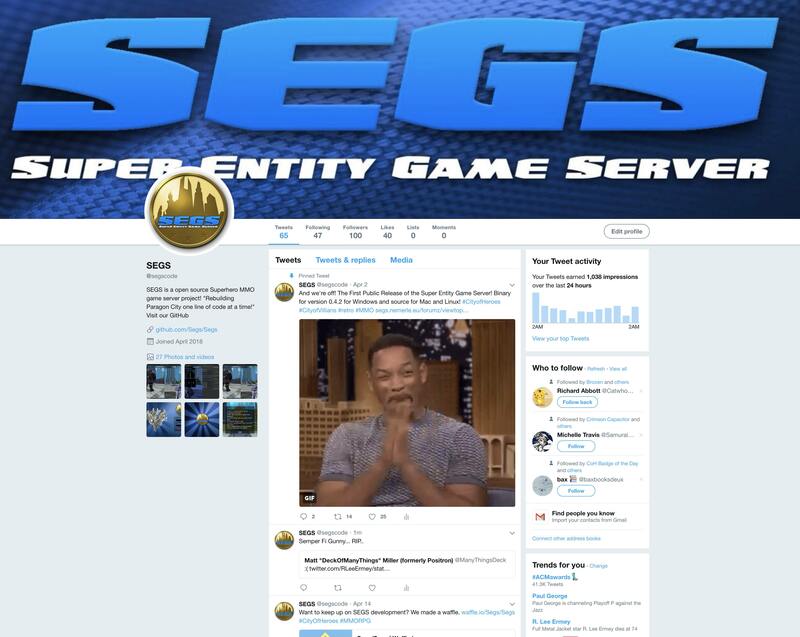 We’ve added a Twitter account! You can follow us for updates on the project, and see what is being worked on at that time. Plus we’ll also post some interesting non CoX content from time to time.